The Duffy Affair is the nightmare Harper created and fuelled with his handling. As a result, the Prime Minister who won on the basis of accountability ended up with dirty hands and to his inconvenience, Canadians can easily be reminded of where he once stood. Contradiction 1: Wright resigned with “great regret” or was “dismissed”? In an interview Monday with Jordi Morgan from Halifax’s News 95.7, Harper said he “dismissed” his former chief of staff. “I think the responsibility whenever things go wrong is for us to take appropriate action. 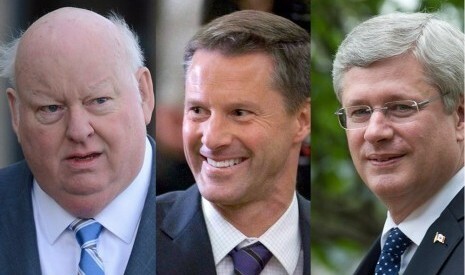 As you know, I had a chief of staff who made an inappropriate payment to Mr. Duffy, and he was dismissed,” Harper said. “It is with great regret that I have accepted the resignation of Nigel Wright as my Chief of Staff. I accept that Nigel believed he was acting in the public interest, but I understand the decision he has taken to resign. I want to thank Nigel for his tremendous contribution to our government over the past 2½ years,” Harper said. Contradiction 2: Wright acted alone or with others? On July 6, Harper told reporters Wright acted alone, even though the RCMP and Wright’s lawyers indicated otherwise. “I think if you read the affidavit it makes very clear that the decision to pay money to Mr. Duffy out of Mr. Wright’s personal funds was made solely by Mr. Wright and was his responsibility,” Harper told the news conference. “Mr. Wright made this decision. He has been very clear. He informed very few people. It was his own decision and his own initiative,” Harper said. Contradiction 3: Did Harper approach Duffy after the caucus meeting or not? On February 13, when Canadians wanted to know if Harper knew about the $90,000 deal, Harper said he learned about it the same time we did. In addition, his office stated he didn’t mention any senator by name in the caucus meeting. “The Prime Minister did not mention Duffy or any other senator by name,” the PMO statement said. 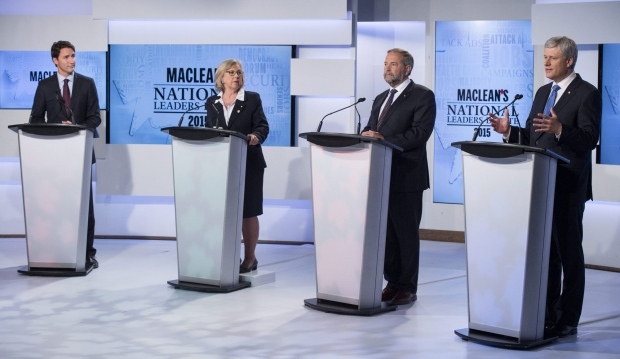 However, on October 24, when grilled by Mulcair with the very statement, Harper said the contrary. 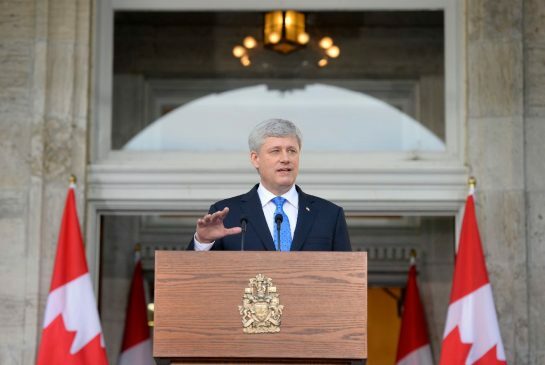 Contradiction 4: Is Harper innocent, or does he have something to hide? The prior contradictions demonstrate simple questions Harper has reluctantly answered and contradicted himself on. It is also worth noting Harper refused to answer questions the day he opened up his caucus meeting to the media, and in a timely fashion, his caucus members made enough noise to block out journalists who wanted to ask questions. 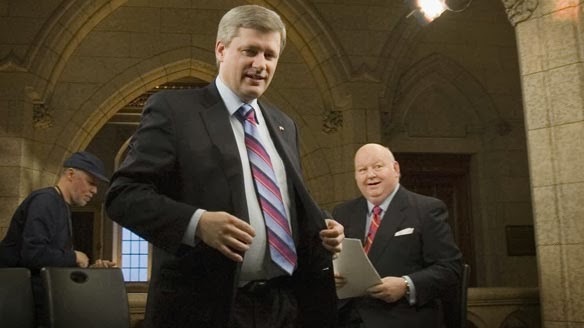 In 2005, when Harper sat in the opposition benches to Paul Martin’s Liberal government, he classified this behaviour as a reason to assume guilt. Contradiction 5: To be forthright or not to be? Harper has been silent and has deflected the media by limiting questions and attempting to change the channel on the Duffy affair. Consequently, he has hid behind his staff. Contradiction 6: To be accountable or to decide to become accountable? Harper pitched a strong campaign on the basis of accountability. Actions speak louder than words. However, given Harper’s dialogue in the opposition benches, is it time he be held to his standards? Stephen Harper has contradicted himself a number of times both in terms of the story, and in terms of his prior principles. What do you think of his contradictory pattern? Like the video? Want to see more? Subscribe!